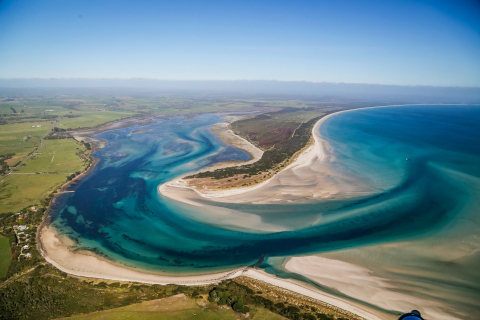 Departing from Stanley, fly over the North West of Tasmania and experience the breathtaking coastlines and island views. The tour circles Cape Grim Monitoring Station, Woolnorth Farms, The Wind Farm, and Cape Grim Beef. 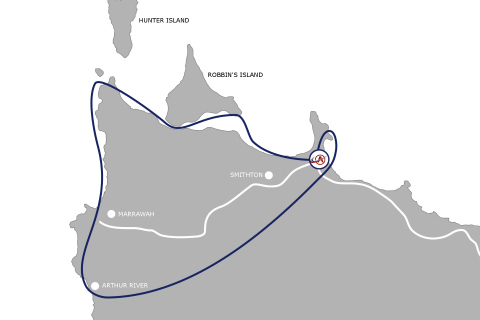 Your pilot will give you an aerial introduction to the early settlement of this unique part of Van Diemens Land, and the largest single dairy operation in Australia. From here you will head south past the rugged western coastline, Mt Cameron, Sandy Cape, eventually reaching Arthur River. 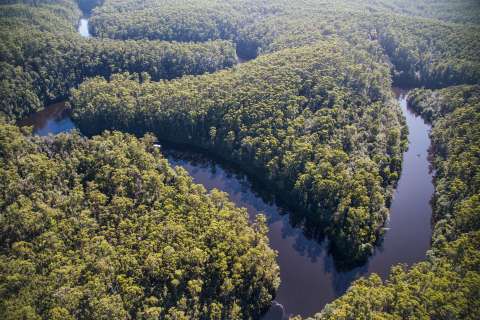 Fly up the mouth of the Arthur River taking in Tasmanian tall timber and the beauty of the northern Tarkine. You will then return direct to our Stanley helibase. 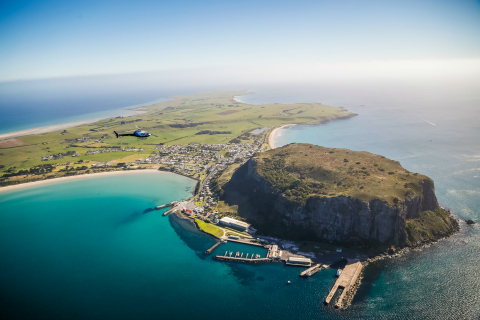 Departing from Stanley, fly over the North West of Tasmania and experience the breathtaking coastlines and island views. 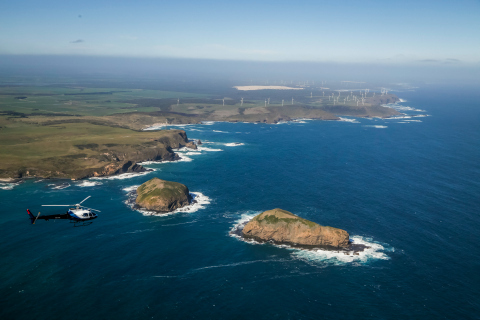 The tour circles Cape Grim Monitoring Station, Woolnorth Farms, The Wind Farm, and Cape Grim Beef. 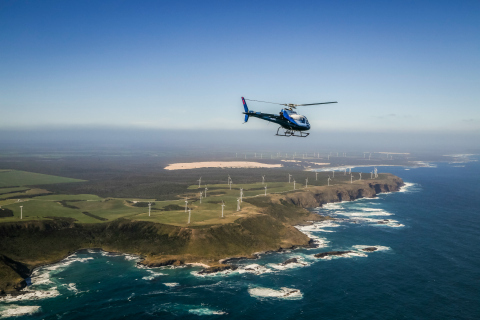 Your pilot will give you an aerial introduction to the early settlement of this unique part of Van Diemens Land, and the largest single dairy operation in Australia. 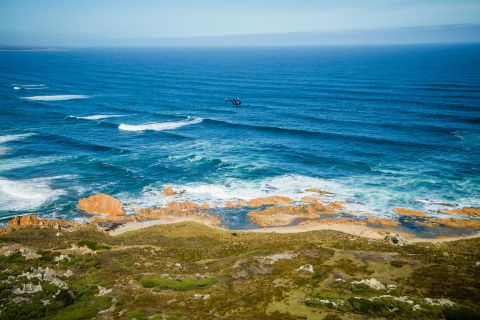 From here you will head south past the rugged western coastline, Mt Cameron, Sandy Cape, eventually reaching Arthur River. 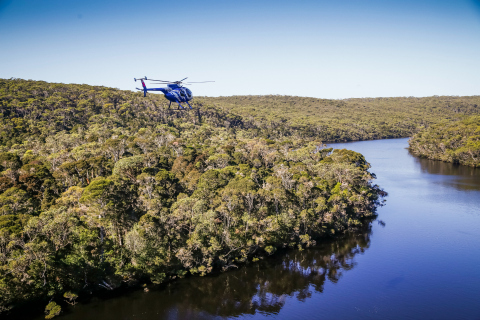 Fly up the mouth of the Arthur River taking in Tasmanian tall timber and the beauty of the rainforest of the northern Tarkine. You will then return direct to our Stanley helicopter base. 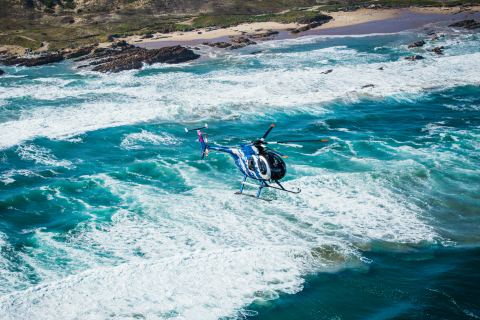 Two-way communication between you, your pilot, and your group. Warm clothing suggested as flight can be cool and windy. Have a question about this product? Check out the FAQs or get in touch! Please check in for your flight 20 minutes prior to departure. Weight of all passengers combined not to exceed 450kg. All tours subject to Booking Terms and Conditions. EASY – Suitable for adults, children and seniors.